Email marketing is both an art and a science. And there are many tricks of the trade that can make it more effective. In this post, you’ll hear about some email marketing tips that can boost the impact of your newsletter and promotional emails. Email Marketing Tip #1: How often to send email? To help you answer this question, I’ll ask you two more! 1. Will you be annoying your readers? 2. Will you have enough time? Your answers will help decide upon the optimal frequency for your email newsletter or marketing messages. 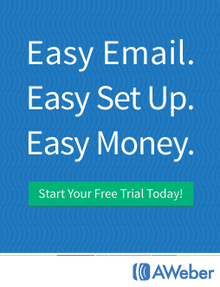 The best email marketing schedule will vary for different opt in mailing lists. An e-zine that delivers news stories or stock market tips will merit daily updates. An ezine on ancient history won’t! The most important part of your email newsletter – indeed, the reason people would want to read it – is it’s content. With every single issue, you’ll be judged harshly by people on your list of email addresses, many of them receiving your email for the first time. And impressing them with exceptionally good content is the only trick in your bag, the only weapon in your armoury to keep your reader happy, satisfied and wanting more. In e-zine publishing CONTENT IS KING. If you provide content of a consistently superior quality, your email marketing will be a success. New subscribers might find useful information in your past issues. By putting them into an archive and allowing readers to access them, you can add value to your subscribers. An archive of your previous emails may be created in the form of a website, or be available by auto-responder e-mail. Asking for reader comments and opinion is a valuable way to improve the quality of your email marketing. Include a request for feedback in every issue. If your email includes information that potentially might land you in trouble, it makes sense to include a disclaimer. Again, like a copyright notice, this might be highly technical and worded in legalese, or could be a friendly note refusing to be held for consequences for acting on information your e-zine provides. For the really cautious ones, it might be best to consult your lawyers! Others may forge ahead. In the impersonal medium of e-mail and the Internet, trust is fast becoming a scarce commodity. An e-zine uniquely enables you to establish a trusting relationship with your reader. But how can you trust a cluster of electrons ? That is why your personal information – including details about how to contact you – is very important. It puts your reader in touch with you and your company. Giving your subscriber the sense that you are accessible and can always be reached for more information, helps establish trust. Most email readers – just like Web surfers – skim through the material. Your email’s layout should make it easy for them to catch the significant portions of content even with a quick glance at it. Use white space judiciously. Plain white space sets apart distinct chunks of text and makes your emails easier to read. The electronic world is impersonal and dreamlike. It takes a special effort from you to reach out and touch your reader on a human level. Relationship marketing is about doing this well. By displaying a photograph of yourself on the e-zine website, and providing some personal details like a short bio, address, phone number, e-mail contact, you are breaking through this invisible barrier – and creating a trusting relationship with your subscriber. item in your topic area. • Have a contest or trivia quiz, and announce the results a week or month later. • Offer special seasonal discounts and freebies from time to time. from readers about your e-zine. All of this encourages the reader to interact with you through the website and on email. An interesting email marketing strategy to grow your e-zine by leveraging your website is to offer a simple way for a visitor to recommend your newsletter to a friend. Many sites offer social media scripts to create such forms, buttons and widgets for free and place them on your website. A visitor enters the e-mail address of a friend into the form and hits the ‘Tell A Friend’ button. The script then automatically generates an invitation to the friend to sign up for a subscription to your e-zine. Or she clicks a social sharing button and an automatically generated link and blurb get posted to her Facebook or Twitter profile, where others in her network can see it and sign up to your database, increasing the size of your list of email addresses. Once your email list audience has developed a sense of community online, and readers begin visiting your website regularly, it is easier to encourage them to buy things from the site. A trusting relationship has been created through effective brand marketing, and it will translate into greater opportunities for selling online. So now you know some cool ways to boost the effectiveness of your email. You should also check out these email marketing examples and templates to see how you can build on these marketing tips. And for a comprehensive guide to email marketing success, sign up for our new EMAILNAIRE program – get details here: click.